Vikings Aren't Born. They Are Made. The Viking Dash Trail Runs will challenge you, both mentally and physically. We want our participants to push their own boundaries at our events and in turn become stronger in their everyday life. Viking Dash Trail Run is based on the history of the Vikings and their ability to endure and conquer whatever nature put in front of them. Vikings were known to be strong, tough and adventurous people that shared a great sense of family and kinship. These are exactly the elements behind the Viking Dash Trail Run- your will will be challenged, your limits of mental and physical abilities tested so that you will become stronger not only as a runner but in your daily life. Once you are completed with your Viking Dash Trail Run, celebrate with your fellow Vikings at the post-race Breakfast, drink and music. Viking Dash Trail Run is not a race, but a challenge and test of endurance. The Viking Dash is part of the world-famous Arnold Sports Festival taking place February 28 - March 3, 2019. All Viking Dash participants will receive as part of their entry a complimentary ticket to the Arnold Fitness Expo. 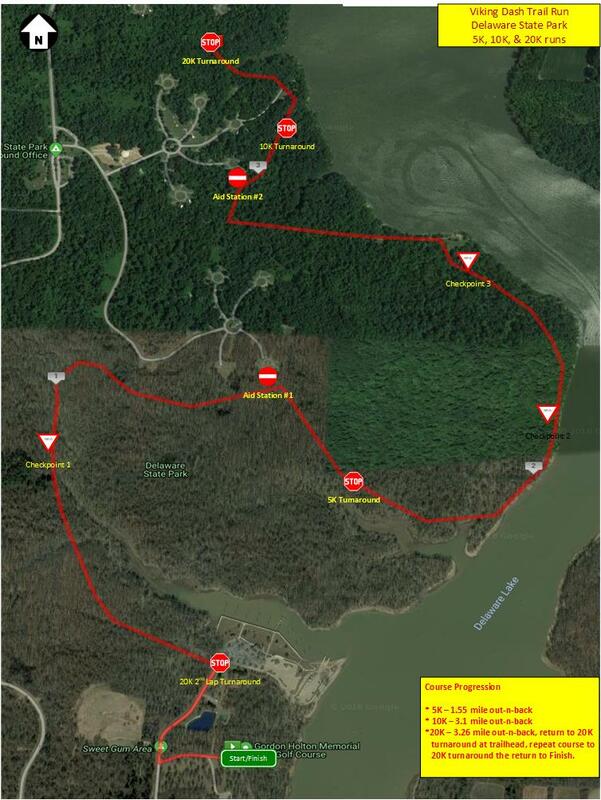 NOTE: PACKET PICK-UP WILL BE RACE DAY ONLY AT DELAWARE STATE PARK - BEACH AREA STARTING AT 7:00 AM - 8:15 AM. PLEASE ARRIVE EARLY. CHECK-IN AND PARKING IS A .35 MILE WALK TO THE START LINE. 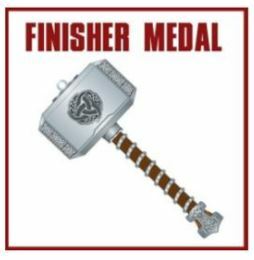 All Finishers will receive the famous Thors' Hammer. (There are a llimited number of Viking mace medals. If you have received a Thor's hammer at a past race, check-in with Athlete Services post race for possible exchange). Top 3 Male & Female overall finishers by distance will receive a commemorative award. All participants will receive a complimentary pass into the Arnold Sports Festival held March 1 - March 3. Pancake Breakfast, including fruit and other tasty treats. 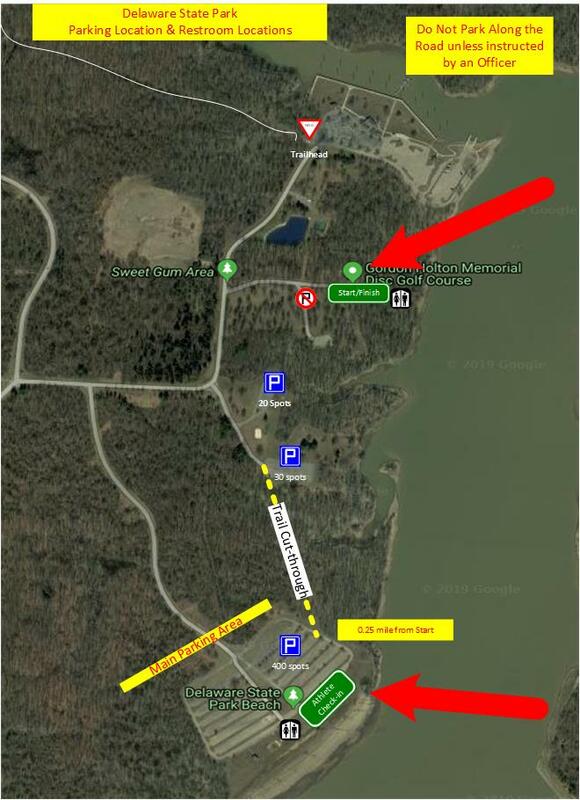 COURSE INFO: The course for the Viking Dash Trail Run – Delaware State Park is a natural trail with a great variety of terrain and views. With a natural trail run, there are many roots, rocks, rolling hills, and the potential for mud, rain, snow, ice. Despite this the race has a forgiving surface and is less intense and technical than some other trail races in Central Ohio. Please expect to get your shoes dirty and your feet wet. Given the time of the year the trail run is being held, please dress appropriately and protected from the weather elements. Please expect to be cold and possibly wet. The trail is rolling and potentially muddy but it is non-technical enough to allow a runner to appreciate their surroundings as they move through the variety of scenery along the course. 5K – 1.55 mile out-n-back course. There will be a sign to mark your turnaround. All other distances will continue past the 5K turnaround. 10K – 3.1 mile out-n-back course. There will be a sign to mark your turnaround. 20K runners should continue past this turnaround. 20K – Has been modified due to trail conditions so it will have a ~3.26 mile turnaround to return back to the trail head near the Start. 20K will repeat the course out-n-back and then head to the Finish. PLEASE NOTE: The race directors reserve the right to adjust this course if asked to do so by ODNR, State Park officials, Arnold Medical Director or to otherwise enhance runner safety in the event of severe flooding or very inclement weather….but please expect SOME mud, ice, and other fun we love at trail races! If the course is adjusted where by use of the trails is restricted by park officials, the course maybe modified to become a road course and the longer distance adjusted. Your safety is first and foremost. Download from your Apple or Android store the Greenswell Events App and get all the event details - course map, event schedule, Arnold Sports Festival, selfie app, and LIVE results - all at your fingertips! 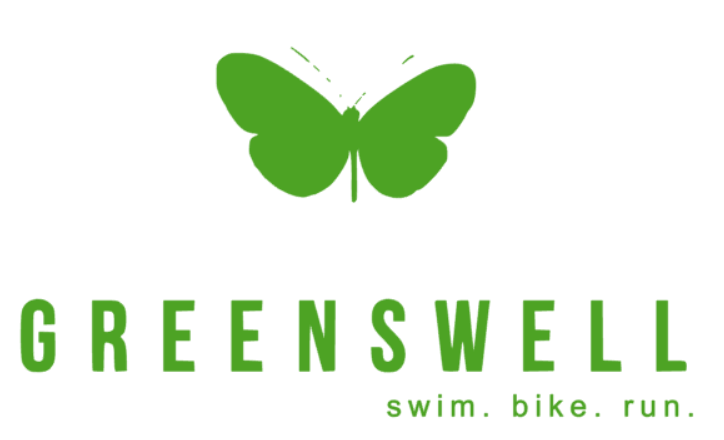 Eligibility: Top 3 Overall M/F earn a spot and top age grouper finisherfy. We apply the roll-down to the next 3 age groupers via email 3-weeks after notification. Only the 1st 350 registered are accepted.